We were amazed when we came to the knowledge of this. But most of them have been confirmed by us and proven to be facts. 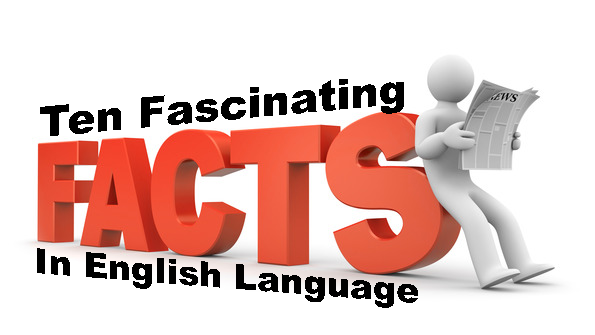 That is why we decided to share the content thereby making you to also be aware of these fascinating facts in English Language. The shortest word containing all five main vowels is ‘eunoia’, meaning ‘beautiful thinking’ or a state of normal adult mental health. rhetorically, Eunoia also means that a speaker have the interest of his or her audience at heart. 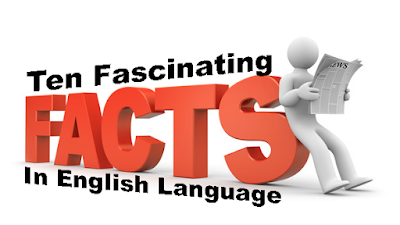 The longest word with only one vowel is ‘strengths’ (9 letters long). There are only 4 words that end with ‘dous’. Those words are: ‘tremendous’, ‘stupendous’, ‘hazardous’ and ‘horrendous’. The oldest word is ‘town’. The longest one-syllable word is ‘screeched’. The longest word with all the letters in alphabetical order is ‘almost’. The only two words that end ‘-gry’ are ‘hungry’ and ‘angry’. The longest word without the main vowels is ‘rhythms’. The dot on top of the letter ‘i’ is called a ‘tittle’. The most commonly-used word in conversation is ‘I’.